Quasset, a fast-growing company that provides modern and practical asset management solutions, proudly announced today the appointments of Luc Stakenborg as Chief Operating Officer (COO) and Timothy Black as Chief Technology Officer (CTO). 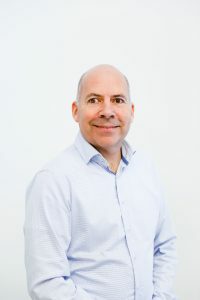 In the role of COO, Luc Stakenborg will oversee ongoing business operations within Quasset, ensuring operational excellence and streamlined delivery of client software projects. He will continue to lead development of new software projects and processes including Quasset’s Q-Pro tooling as well as Asset Builder, which creates digital twins of assets. Mr. Stakenborg is co-owner of Quasset and as CTO built the technological foundation for the company. Trained as a physicist at the University of Utrecht, Mr. Stakenborg has worked in a variety of IT roles in both SME and enterprise environments. He is part of a very senior team of industry professionals from various disciplines (e.g. physics, engineering, IT, business) to deliver consultancy services, facilitate innovation, and accelerate market acceptance of novel solutions to challenges faced by asset-based industries. Dr. Timothy Black has been a part of the Quasset team since 2013. Initially he joined Quasset as an engineer for Robotic Inspection Technology, performing joint industry projects and EU projects in the NDT and Robotics field. His role quickly shifted to Business and Innovation Manager, with the leading role of developing innovation and managing software solutions for inspection and maintenance, NDT, and robotics. In his role as CTO, Dr. Black’s primary responsibilities include Oil and Gas innovation projects, technology scouting, and innovation roadmapping, as well as leading the Quasset Test Facility (QTF) to facilitate the development of robotic solutions for inspection and maintenance activities. Dr. Black has a PhD in Robotics, Bachelors in Engineering. 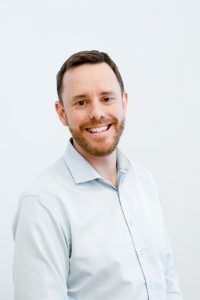 Prior to working for Quasset, he was Senior Research Fellow – R&D Systems at the Centre for Intelligent Systems Research (CISR) performing robotic research and development for the Australian Defense Force and Industry. From 2010 was Program Manager for the Advanced Manufacturing Cooperative Research Centre (AMCRC), an Australian Government research funding organization, with the task of managing and coordinating multidisciplinary, multi-group research projects across different manufacturing sectors including aerospace, defense, manufacturing, and biotechnology. Driving innovation, building networks, and assessing and implementing pioneering technologies for business impact are at the core of Quasset. To help companies optimize the balance between cost, performance and risks of capital-intensive infrastructure, Quasset provides advanced solutions in asset management. Since its inception, Quasset has been part of a number of joint industry projects, pulling the value chain together to help companies accelerate their progress and create a competitive advantage. In 2017 Quasset Test Facility (QTF) was opened, providing companies with independent 3rd party assessments of technology in a highly flexible and relevant testing environment.